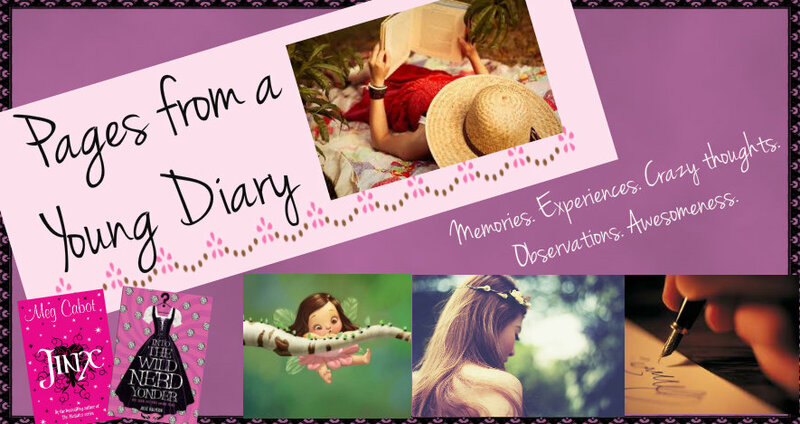 Pages from a Young Diary: Theandric Thursday # 3: Living the dream... and something else. Theandric Thursday # 3: Living the dream... and something else. 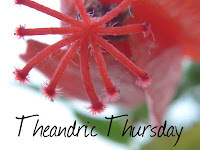 Theandric Thursday is a fortnightly feature on my blog, where I'll be having fun with putting down those weird thoughts and stories that occupy my mind most of the times. The dictionary definition of 'Theandric' is 'Relating to the joint agency of the divine and human nature'. If you're interested in participating, write your own Theandric Thursday post and drop your link in the comments section. Feel free to write reality, part-reality-part-fiction or fiction, anything above the 'normality' of our world. ;) You can use the above picture on your post and link back to this post. I was certain it was a dream. I mean, seriously? A tree house in the woods? That's what I get as a birthday present? They stood with me grinning, clearly satisfied with my awed expression, if that's what it was. I was certain no human even had the capability to open and hang their mouth as I was doing at that moment. It was too superliciously awesome to be a reality in my plain life. But hadn't my family always made sure my life isn't really plain? Haven't they always tried to make me live whatever I'd dreamed of? "Bu...but", I sputtered. "Dad!" I finally cried and hugged him tight and clung on to him till the moisture from my eyes was dried and well, stuck on his shirt. "Yeah, we had nothing to do with this", snorted my younger brother Xavi, sweeping his arm all around as if graciously unveiling a palace. Which it was, to me. Much much much better than a palace! Mom came forward and hugged me tight. "It's a delight to see you happy, darling," she said softly and kissed my forehead. I stuck out my tongue at my brother, to which, surprisingly, he replied with a sly grin. "Want to see if your weight breaks the poor ladder I spent hours making?" I saw the wooden ladder again. "Neat job," I admired. He tugged at my hand and we were at the bottom of the short steps. I still couldn't believe these wonderful guys built me a tree house! It's less than half a mile from our place just outside the woods. I never imagined what I'd continuously been dreaming about, aloud, they would go ahead and do it! Well, I always said it'd be fun to climb up this tree and settle somewhere in it and read books. Especially since the tree overlooks a stream nearby. I hadn't really imagined a tree house! But I guess Mom would've freaked out over the thought of insects and all, which really don't bother me and which would still be a problem anyway, since I'd still be up on a tree. Well, whatever the reason, I had not a thing to complain, for just as my head popped up and I saw the house from the inside, I felt like I couldn't breathe! In a very good way. It was small, but warm and cozy, big enough for four and had a small bookshelf, some board games and a couple of the softest pillows we owned! "Oh boy!" I nearly whistled. Nearly because I don't really know how to whistle. "Did you guys know you're the bestestest people in the world? Ever?" I sang loudly while putting one foot into the tree house. It was even tall enough to hold me! Though not my brother, I saw. He had to slouch. I peeped out from the side and flashed my biggest smile for the camera. I knew I never look good in pictures with my teeth showing, but that time I just couldn't stop it. And I didn't care for a silly picture! "You guys can stay up there, but be home by dinner time!" Mom called. I saw my parents walking away slowly towards home, holding hands and talking softly. Once or twice I saw them looking back at me, half hanging off the side as I looked at them. I waved and they did too, smiling. "You know, Dad worked really hard on this house and you can show your appreciation better than trying to break that log over which you're hanging" Xavi said in a voice that seemed almost..... reprimanding? And I was the elder sis! "Don't you have anything better to do than hanging out with your sis up on a tree house?" I snapped at him. I know it was wrong to hurt him like that, especially since he was the one who made that ladder and I was sure the board games idea was his, too and I knew he was also an emotional kid. What kind of a girl am I, anyway? My family gifts me my dream-turned-into-reality and I thank them by speaking rudely with Xavi? Not fair. But before I could sort my thoughts and apologize to him, he was already climbing down. Great. We hadn't even spent more than 5 seconds together in that tree house. I seriously don't deserve anything. "Xaaa...aaaavi" I called out to him, "I know I'm an idiot and it wouldn't be fun here without you. You know that and you can't go just now and make Mom and Dad upset with me." No answer. "Xaaa....aaavi, what about the games? I'm S-O-R-R-Y! Please show me the ladder isn't weak and climb up again!" What is it with guys? He wouldn't speak a thing. He just looked up at me all tired-like and said, "I'm not going to tell Mom and Dad anything. I'll be at Bill's place, err..football match up on TV. Meet me at 7 at the birch tree." And off he went. I sighed and leaned back inside. It wasn't because of the football match that he was going to Bill's. I knew it was because of my big, stupid, fat mouth. As awesome as the tree house was, it lost its appeal to me. I realized things looked beautiful and appealing to you especially if you're with a loved one, or if you have some love inside. I seriously didn't, I thought, for even the stream running outside or the green and red bird perched atop the next tree couldn't do anything to uplift my mood. I nestled against the soft pillow and closed my eyes, feeling the sweet afternoon scent of the trees and wilderness blowing with the wind. In good spirits, I might have felt a bit like Katniss, up in a tree. Though she slept in a sleeping bag strapped to the branches and I was way more comfortable than she could have been, but still. It'd have been fun pretending our enemies are lurking somewhere out there, if Xavi had been here. I let out a long sigh. I'd really have to make up with him. It's just not fun, not having him around. I felt something real soft under my cheek and something real hard under the rest of me. I drew my eyes open and propped up on my elbow. Right, the tree house. I was sure it was all a dream, but here it was. But then, I certainly had been dreaming of something. Going to sleep and getting up not dreaming of vampires was something that was rare with me these days. My bad. I decided to start with The Vampire Academy series right after the Twilight series. What can my poor brain do anyway if all I give it are stories of blood-sucking vampires? But then, it had seemed so real. No, I didn't see Edward or Dimitri. That's just what I wish I could be dreaming, but those vampires are always shrieking, red haired, evil-female vampires, running after me all the time. I looked at my cell phone. 6pm already! I slept for more than 4 hours? My Lord, I must have been a log in a previous life. And I didn't fail to notice that Xavi hadn't called or texted either. Since it was almost dark now and I couldn't read, I thought I'd go to the stream and just hang around for a bit. I put on my shoes and climbed down. As I trudged along the short path, I thought I heard slight hissing and it was quite creepy. I mean, crunching of leaves beneath someone's feet was okay or even the voices of someone talking or breathing was fine by me. After all, I wasn't the one who owned this place, as much as I wished. It was public property, well, except my tree house. But hissing? That's weird. I didn't see anyone though, so I continued and clambered onto a small rock-like structure at the edge of the stream we liked to call Miss S, I don't know why, and waited for time to pass. I love the stream. It flows towards the east and the water's so clear that I could see a trout or two flowing with the stream. I leaned forward a bit and liked the way my reflection looked back at me, all distorted and flowy. I smiled and pulled my hair open. I looked again for the effect. Perfect. Most people wouldn't think a distorted image would be nice, but I liked the way it was, especially with my hair now billowing about. I wished I had my camera to click a picture, though I doubted it would look this beautiful in the picture. If there's anything I've learned with photography, it's that some things the camera looks at with a better view and there are some other things you find so beautiful that the camera cannot keep up with the beauty. I hadn't heard a single thing, not even the hissing, so when I saw another, absolutely white reflection in the water, hovering right above me, I was every bit surprised. And terrified, if the way my heart jumped to my throat was any indication. It wasn't Xavi. I didn't think it was even anything human, but it sure looked like one. A familiar one? Before I could turn around or completely process the fact that there were, in fact, three more, a cold hand clasped around my mouth and the hissing I had heard earlier was right at my ear. "You make a sound and all I would need to do is turn your head the wrong way. And no one will ever know what even happened." Now I was completely terrified, if there were any less terrifying feelings earlier. In another second I was hanging upside down, my open hair not seeming like a great idea at all, the hand still firm on my mouth and we were off. I hadn't even noticed I was crying before it blurred my vision. Since my hands were tightly bound with another pair of hands (what did he have? Four arms? ), I blinked continuously till I could see better. I saw two pairs of legs walking sideways and one at the back. If what I gathered from the makes of their shoes and jeans was a right guess, two were guys and one was a girl. Every one of them made those hissing noises after every few minutes. That was creeping me out. Not that the whole situation wasn't creepy anyway, since I'd just been kind of kidnapped by a bunch of things I didn't think were human, but that hissing was even creepier somehow. I really couldn't think how I could escape, because one, I was heavily outnumbered and two, they seemed pretty strong, even the female maybe. The one holding me seemed to be made of stone. What? Stone? Really? A..... vampire? I couldn't breathe. No wonder they moved so easily, stealthily and that hissing! What does it mean? How can a freaking group of vampires find me and kidnap me for no reason? What did I do except dream about them and that isn't really something I can control. If there's anything good about all this, there better be some Edward-or-Dimitri-like vampire. But why? I'm no freaking Bella Swan or Rose. After what seemed like a million years, they stopped. "Where do we interrogate her?" I heard the female voice for the first time and it sent chills down my spine. It reeked of pure evil. I still couldn't see anyone's faces. The next second I was on my way up a tree and was put down, not very gently, I might add, on the floor of my own tree house! I looked up at their extremely beautiful, but terrifying faces and felt myself shuddering. One of them was very familiar. Xavi couldn't stand straight since the roof wasn't high, but these guys loomed over me, upright and I was pretty sure they were taller than Xavi. Xavi! If I managed to stay alive till 7pm, I was sure Xavi would come looking for me. But was that a good thing or a bad thing? Xavi was obviously not as strong as a vampire and there were four! Will he be in danger too? This was turning out to be a very long story, since I'm incapable of telling anything in a few words. The second part of this story will be continued in Theandric Thursday post # 4. PS- My brother isn't really called Xavi. I asked him what he would like to be called and he came up with a few great-sounding names, before settling on Xavi. I never thought he had a creative streak in him, so I had to ask how he thought of the name. "Huh?" he said. "It's the name of a football player." PPS- Read Usama's Theandric Thursday post # 3 at his blog, Randomized. Will wait for the next part too. This is so lucidly written! Every thought has been clearly put through and it seems you haven't missed a single direction of your thoughts and transcribed them all. This makes a very good flow in this post which I am specifically pointing out as a good thing; you write in a way which I find very understanding and perceptive. And the story, I wanted to read the complete story today itself thought, but never mind, great things should last a bit longer. I'd love to own a tree house ahead in my life. Sounds like a dream's dream! Leo says, it would be a magic thing, to fall into a mystery and then realize you're into one. Agree? All four thumbs up Ashna, to you awesomely crafted view and the vivid imagery. You had actually created a superb environment that reminded me of Ruskin Bond and his amazing stories that are still etched in my mind. Besides, why do you hate Twilight? :/ I didn't think much of it either, until I read the whole series. Firstly.. my apologies for the delay.. i wanted some peaceful time to read your long post ( as usual :P) , without any distractions..
Woohoo..! what a story! I simply loved how you have described every little moment, every little action, and every little feeling! Waiting for the next part ! :D I'm glad you liked it! Thank you thank you!